packages, for travel anytime through December 2014.  Passengers who purchase an escorted tour of $2,000 or more, save $200 on the entire booking by using Promo Code VNC13HOT200.  Purchases over $4,000 or more receive $300 off with promo code VNC13HOT300.  Travelers save $100 on independent vacation packages bookings of $1,500 or more with promo code VNC13HOT100.  Purchases over $3,000 or more receive $200 off with promo code VNC13HOT150. subject to space availability. Some exclusions and restrictions apply. frequent flyer programs, and earn points for the land portion. $1 Million through the USTOA Travelers Assistance Program. The fall months–when weather cools down and fewer tourists abound–are perfect for visiting Italy. Virgin Vacations is offering two different hotel-car packages for independent travelers who want to spend a week exploring Tuscany or Italy’s Amalfi Coast in depth, at their own pace. Priced from $429 land only (from $1,419 with air from New York), the packages include 6 nights accommodations, a 7-day manual car rental with unlimited miles, and breakfast daily. Travelers stay at the same hotel each night, using it as a base for day excursions, so there is no need to pack and unpack daily. Depending on individual preferences, travelers can develop their own plans, or choose from Virgin Vacations’ suggested day itineraries. Suggested drives range from 40 – 160 miles, round trip, with estimated driving times ranging from 1 ½ to 4 hours. Travelers fly to Pisa, an hour’s drive from Montecatini, where home base is the modern Tuscany Inn in the center of town. Known for its spas and its historical significance in World War II, the town is just 30 miles from Florence. Virgin Vacations’ travelers can drive or take the train into Florence, and drive to a number of medieval towns, only 50 miles or 2 hours roundtrip. Or, for a longer itinerary, Siena and San Gimignano are a four-hour drive, or 160 miles. Per person prices for the 6-night Tuscany Fly & Drive package begin at $449 land only, for departures through March 2014, depending on date selected. Prices for 8-days, including air, start at $1,419 from New York, depending on departure date. Prices range up to $579 land only, for December 25 departure, and $1629 with airfare for December 18 departure. Hotel upgrades are available beginning at $10 per person, while car upgrades begin at $109 for the 7 days. Automatic transmissions cost an additional $375 for the 7 days. Virgin Vacations’ travelers fly into Naples, and then drive 1.5 hours to the four-star Villa Romana, home base for the stay. Located only 2.5 miles from Amalfi, Villa Romana is a two-hour drive, or 50 miles roundtrip, to Pompeii and to Positano; and 3 hours (110 miles) to Ischia, largest island on the Bay of Naples. Round trip add-on air fares are available from cities nationwide. Prices are per person, based on twin occupancy. Air fares include airline taxes and fuel charges. Car rental prices include Third Party Liability Insurance (RCA), Collision Damage Waiver Reduction (C.D.R. ), Theft Protection Reduction (T.P.R. ), airport charges, and local taxes (VAT). Virgin Vacations offers a wide selection of escorted tours, river and sea cruises, and independent packages worldwide, available with or without air fare on Virgin Atlantic, Virgin Australia and Virgin America, as well as other international airline partners. Virgin Vacations travelers can enroll in Virgin Atlantic’s Flying Club or Virgin America’s Elevate frequent flyer programs, and earn points for the land portion. For information on other worldwide destinations available through Virgin Vacations, visit www.virginvacations.com. As a member of the U.S. Tour Operators Association, Virgin Vacations protects travelers’ payments up to $1 Million through the USTOA Travelers Assistance Program. Virgin Vacations is offering theater lovers a one-week London-based vacation package beginning at $1,499 per person, including air fare from New York. Round trip air fare is also available from a variety of gateways throughout the U.S. via Virgin Atlantic and Delta Airlines, beginning at $59 additional for Boston. Designed for independent travelers, the packages are part of Virgin Vacations’ UK Collection, with prices ranging from budget to luxury. Highlights of this package include a London Theatre Passport, exchangeable for one best-available ticket to participating musicals and plays. Also featured is a full day excursion to Bath, Windsor, and Stonehenge, plus a half-day Vintage Open Bus sightseeing tour of London. Travelers stay 4 nights at the Ambassadors Hotel in Kensington, with breakfast daily and transfers to and from Heathrow Airport. Price includes round trip air fare from New York on Virgin Atlantic. Depending on departure date, price begins at $1,499 per person. features 6 nights accommodations with breakfast, round trip air on Virgin Atlantic from New York, Heathrow transfers, the theatre pass, London sightseeing tour, full-day excursion to Bath, Windsor, and Stonehenge, plus an additional all-day tour to Oxford, Stratford, Warwick, and the Cotswolds. Depending on departure date, price begins at $1,759 per person. Virgin Vacations participants can upgrade hotel accommodations beginning at $30 and ranging to $610 per person, depending on the hotel; as well as select from optional arrangements such as a ride on The London Eye, beginning at $30. Both packages are available until late October. Airfare is available from other cities nationwide. With the new Delta Airlines-Virgin Atlantic code share, Virgin Vacations guests can now fly from 45 U.S. cities to London. All prices are per person, and based on twin occupancy. Airline taxes and fuel charges are included. For more information and to book a UK Collection vacation, visit www.virginvacations.com, phone 1-877-740-4302, or see your travel agent. Virgin Vacations offers a wide selection of escorted tours, river and sea cruises, and independent packages worldwide, available with or without air fare on Virgin Atlantic, Virgin Australia and Virgin America, as well as other international airline partners. Virgin Vacations travelers can enroll in Virgin Atlantic’s Flying Club or Virgin America’s Elevate frequent flyer programs, and earn points. Following its sold-out summer departure, Virgin Vacations has added two special fall “Four Star London with Downton Abbey” tours, each featuring a private cocktail reception at Highclere Castle, where the hit television series was filmed. The 7-day tour includes round trip flights on Virgin Atlantic to London, 5 nights’ First Class hotel accommodations, transfers, breakfast daily, one dinner, sightseeing, a private cocktail reception at Highclere Castle, travel by motorcoach, and the services of a tour manager throughout. Three nights are spent in London, with two nights in Bracknell, close to Highclere Castle in the center of Berkshire County, an area favored by the Royals for its scenic countryside. Departure dates are September 16 and October 31, with per person prices from New York beginning at $2,289 and $2,329 respectively. Miami departures cost $2415 for September 16, $2513 for October 31; while Los Angeles costs $2544 and $2505 respectively, and San Francisco is $2694 and $2529. Highlighting the tour is a private cocktail reception at Highclere, where Virgin Vacations’ travelers will be among guests at a benefit hosted by the castle’s owners, the Earl and Countess of Carnarvon. During the reception, the castle’s public rooms—including the Main Hall, Saloon, Library, and Sitting Rooms – will be open, and guides will be on hand to answer questions. The cocktail receptions each benefit a different charity: Langalanga Scholarship Fund, which provides scholarships to needy children in Kenya, on the September 16 departure; and the Newbury Cancer Trust for the October 31 departure. In addition to the Highclere Castle cocktail event, the tour includes a post-reception dinner, a full day excursion to Bath and Stonehenge; plus a morning in Oxford, visiting Christchurch, the grounds of Oxford College, and the countryside where parts of “Downton Abbey” are filmed. The tour also features a morning sightseeing tour of London via a vintage bus, with the Tower of London and a Thames River Cruise; plus a free day in London for individual pursuits. Virgin Vacations advises travelers to book early in order to assure a place on the tours. Prices are per person, and based on double occupancy. Airline taxes and fuel charges are included. For more information and to book the special Downton Abbey fall departures, visit http://www.virginvacations.com, phone 1-877-740-4302, or see your travel agent. Cruise prices range from $1,359 (regularly priced at $2,359) for a Category C cabin Thanksgiving cruise departing from Nuremberg to Budapest November 23; to $2,049 (regularly priced at $3,049) for a Category A balcony cabin on the October 19 Budapest to Nuremberg departure. Included in the price are 7 nights cruising aboard the 64-cabin “Sound of Music,” transfers, all meals with unlimited wine and beer at dinner while on the cruise, evening entertainment, and port taxes. Rounding out the inclusions are shore excursions in Bratislava, Vienna, Nuremberg and Melk Abbey, plus a walking tour of Regensburg. Air fare is additional. Travelers can add optional activities, beginning at $59 for a full-day tour of Schoenbrunn Castle, once the summer residence of the Hapsburg emperors. Also available are add-on nights in Prague and Budapest pre- or post-cruise. Discounted prices begin at $1,679 for the November 14 cruise in a category C cabin and two additional hotel nights in Budapest; to $2,499 for 2 days hotel stay in Budapest with 3 nights Prague, for a Category A cabin on the October 23 departure. The Budapest and Budapest-Prague add-ons include transfers plus a city tour in each destination. Virgin Vacations has low air fares to Budapest, returning from Munich (or vice versa), available from cities nationwide. Sample air-inclusive packages for the Fall Danube cruises–with the $1,000 discount–begin at $2,129 for the November 23 cruise departing New York. For more information on Virgin Vacations’ Europe River Cruises visit VirginVacations.com, or phone 1-877-740-4302. To take advantage of the $1,000 discount, use Code: VNB14DRC13. Space is based on availability, and some cabin categories may not be available for every departure. Fuel charges and taxes are included on air-inclusive packages. Optional tours and excursions, and gratuities are additional. Virgin Vacations travelers can enroll in Virgin Atlantic’s Flying Club or in Virgin America’s Elevate frequent flyer programs, and earn points for the cruise portion of the trip. Virgin Vacations offers a wide selection of escorted tours, river and sea cruises, and independent packages worldwide, available with or without air fare on Virgin Atlantic, Virgin Australia and Virgin America, as well as other international airline partners. As a member of the U.S. Tour Operators Association, Virgin Vacations protects travelers’ payments up to $1 Million through the USTOA Travelers Assistance Program. Virgin Vacations has increased winter departures of its 13-day “Affordable Turkey” escorted tour in response to popular demand. For travelers with their own frequent flier miles, land only prices for select dates in December begin at $739, or under $70 a night. Air-inclusive prices for select departures in December 2012 and February 2013 begin at $1,399, or $108 a day.Other departure dates through March 19 are priced from $769 for land only, $1,439 land and air from New York. Per person price includes double occupancy accommodations in first class hotels for 11 nights, daily breakfast while on tour, and 9 dinners, sightseeing, motorcoach travel, entrance fees, and services of an English-speaking tour guide throughout. All air-inclusive tours additionally provide airport-hotel transfers. Add-on fares from Los Angeles begin at $150, depending on departure date, while single supplement is $520. Covering the country’s major sites, the tour begins and ends in Istanbul, spending 3 nights in that city, two nights each in Kusadasi and Cappadocia, plus one night each in Canakkale, Pamukkale, Konya, and Ankara. Travelers on early December departures can shop for unique holiday gifts in the country where St. Nick was born. For those who want to play Santa Claus, Turkish leather work, amulets, rugs, spices, textiles, ceramics, and jewelry make welcome presents. Virgin Vacations offers a wide selection of escorted tours and independent packages worldwide, available with or without air fare on Virgin Atlantic, Virgin Australia and Virgin America, as well as other international airline partners.As a member of the U.S. Tour Operators Association, Virgin Vacations protects travelers’ payments up to $1 Million through the USTOA Travelers Assistance Program. Virgin Vacations has slashed prices on its November Danube River Cruises, with a close-out sale offering two for the price of one when booked by September 26. Depending on cabin class, prices begin at $799 per person – half off the regular $1,599 per person price on November departures– for an 8 day Nuremberg– Vienna cruise in an upgraded C category outside cabin, or $999 in A Category with French balcony, regularly priced at $1,999 for November. Travelers can choose from 9 different cruise and land itineraries, ranging from 8 – to 12-days. Longer itineraries also include a stay in Prague and/or Budapest and are priced up to $1,399 ($2,799 regular). Cruises sail between Vienna and either Regensburg or Nuremberg, visiting the small towns and cities situated along the famous Danube River. Departure dates range from November 8 to 18, depending on itinerary. All prices are per person, based on double occupancy and availability. Air fare is additional. 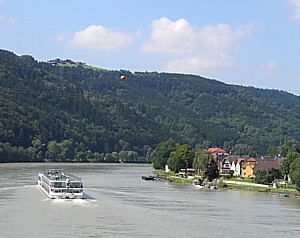 For details and to book a cruise, visit http://www.virgin-vacations.com/promo/deals/river-cruises/. Through May 16, travelers booking Virgin Vacations’ 6-day/4 night “Barcelona Escape” independent vacation package can save $50 per person, bringing Sept. 26 – Oct. 10 departures to $999, including air fare from New York. Price includes four nights’ hotel accommodations at the Hotel Aranea with breakfast and round trip air fare including taxes and fuel charges. Virgin Vacations’ travelers can upgrade hotel accommodations, beginning at $20 per person for the four nights, as well as choose from four different optional activities, starting at $62 for a half-day Classic Barcelona sightseeing tour. Depending on departure date, per person prices for the 6-day/4 night Barcelona package range up to $1,359 (May 23), with the $50 discount. The $50 discount is valid for all departures through October 24, 2012. Low-cost add-on air fares are available from gateways throughout the U.S. Prices are per person, based on double occupancy. To take advantage of the $50 discount, travelers are invited to visit www.virgin-vacations.com and enter Promo Code VVCVIB50 at checkout, or phone (888) 937-8474. Space is limited and available on a first-come, first-serve basis. Travelers can also create their own custom-vacation to Spain by using Virgin Vacations’ online Vacation Builder platform. · Enjoy a flamenco show. Virgin Vacations offers a selection of independent packages available with or without air fare on Virgin Atlantic, Virgin Australia and Virgin America, as well as other international airline partners. As a member of the U.S. Tour Operators Association, Virgin Vacations protects travelers’ payments up to $1 Million through the USTOA Travelers Assistance Program. 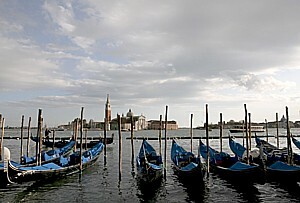 Venice is one of the destinations on Virgin Vacations' new cruise vacation packages featuring Holland America Line © 2012 Karen Rubin/news-photos-features.com. Virgin Vacations has introduced a collection of 32 cruise vacation packages featuring Holland America Line. Travelers can choose from cruise or air-inclusive packages offering savings of up to 30% on air fare alone. Available year round, the cruise packages give travelers a head start by providing a stay of one- to three days at the port city of embarkation, prior to cruise departure. Travelers can choose from itineraries to the Mediterranean and Adriatic Seas, Northern Europe, Panama Canal, Hawaii, Alaska, and the Mexican Riviera. Europe spring and summer cruise packages range from 9- to 17 days. With spring-summer air fares to Europe alone costing $1,400-$1,700, Virgin Vacations’ new packages are priced from $929, or $2,119 with air fare from New York for a one night Amsterdam hotel and 7 Day Southern Norwegian Fjords Cruise package in May. Mediterranean cruise vacation packages, such as a one-night Rome hotel and 10-day Eastern Mediterranean cruise in mid-May begin at $1,099, $2,169 air inclusive from New York. Prices are per person, double occupancy, and include first class hotel accommodations with breakfast, hotel to port transfer, and cruise with all meals. Air prices include all taxes and fuel charges. Optional sightseeing tours are additional, as are cabin and hotel upgrades. Travelers who haven’t yet made summer plans can still find space on any of 7 different Mediterranean cruise vacation itineraries through early fall, with a choice of starting in Rome or Barcelona. Below are sample packages available with or without air fare. Beginning in Rome with an overnight at the first class Hotel Genova, and a free morning, Virgin Vacations passengers transfer to Civitavecchia, where they board the MS Noordam for ten nights cruising the Mediterranean. The itinerary calls at 7 different ports, with a full day at each, plus an overnight and extra half day anchored in Barcelona. First port of call is Livorno, where travelers can visit Florence for the day. Rounding out the itinerary are visits to Monte Carlo, Monaco; Palma de Majorca, Spain; Tunis, Tunisia; Trapani, Sicily and Naples before returning to Rome. Regular departures are available through September 23, with prices beginning at $1,199 cruise vacation for May 26 departure, and ranging to a high of $1,699 for the June 15 package. Air-inclusive packages from New York begin at $2199, May 26 departure, and range to $2979 for the June 16 departure. Add on air fares begin at $347 from Los Angeles; $483 from San Francisco. Cruise line taxes and fees, plus 2 Euro per person Italian city tax per hotel night in Rome are additional, as are optional tours, shore excursions, and gratuities. This package begins in Barcelona and ends in Venice, beginning with an overnight and morning in Barcelona before a transfer to port for 12 nights aboard the MS Nieuw Amsterdam. Following a full day at sea, the first port of call is Livorno, in Italy’s Tuscany region, before calling at Rome, Naples, and Messina, Italy. Another full day at sea leads to stops in Nafplion, Katakolon, and Corfu, Greece; and Dubrovnik, Croatia. Venice is port of call for a final afternoon and night. Add-on air fares from Los Angeles start at $241 per person, $193 per person from San Francisco. Airport transfers, shore excursions, gratuities, Holland America taxes and fees are additional. For more information, visit Virgin Vacations’ Holland America Line Cruise Vacations, or contact your travel agent. Virgin Vacations is also on facebook. To learn about Virgin Vacations’ destinations, visit www.virginvacations.com.